CROSSMOS has been developed by CrossConsense GmbH & Co KG. CrossConsense was founded 2002. It is run by 30+ well trained, highly skilled, experienced and extraordinary motivated team workers. CrossConsense aims to offer its business partners from the aviation industry the best services they can get on the basis of a sound knowledge in the areas of maintenance, engineering and logistics. We think IT from a user perspective – we are not just IT freaks! This influences a lot our products and services and this also distinguishes us from other companies in this market segment. The results are One-Stop solutions which fit exactly into the fast moving world of aviation. If it comes to problems we are the single point of contact to our customers. Instead of simply forwarding customer inquiries they will receive an answer directly from us and that means from humans not from automatically generated emails on a 24/7 basis. 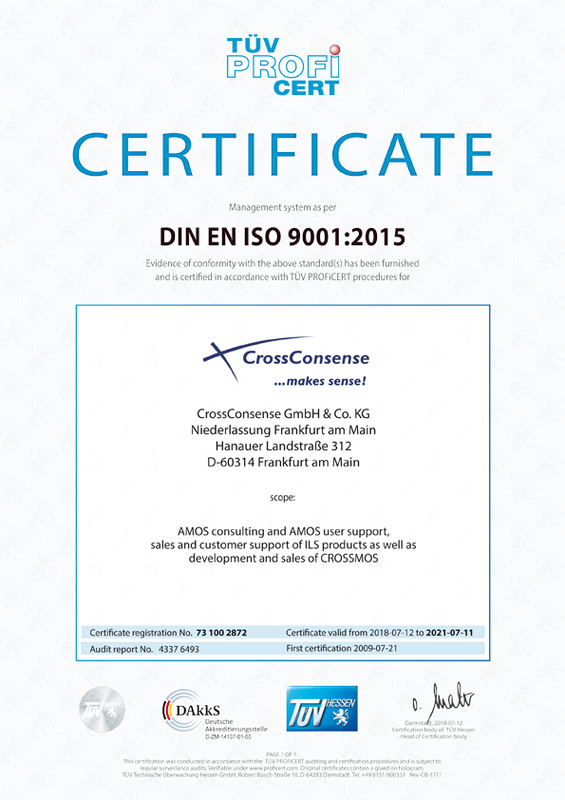 CrossConsense can look back on many successful years of providing AMOS support to a great amount of airline customers throughout the world. Furthermore CrossConsense offers services in the areas of operating and reporting. During the last couple of years CrossConsense migrated AMOS data from one system to another and also migrated data from other MRO systems into AMOS. During the years of providing AMOS support to airlines the team of CrossConsense realized that there is a lack of a working, flexible ELB (electronic logbook). Therefore the team (with its comprehensive background knowledge of AMOS support) decided to develop an ELB which is flexible enough that it can be adapted to the needs of every airline throughout the world. That was the beginning of the development of CROSSMOS, the ELB (electronic logbook) fo the whole fleet. 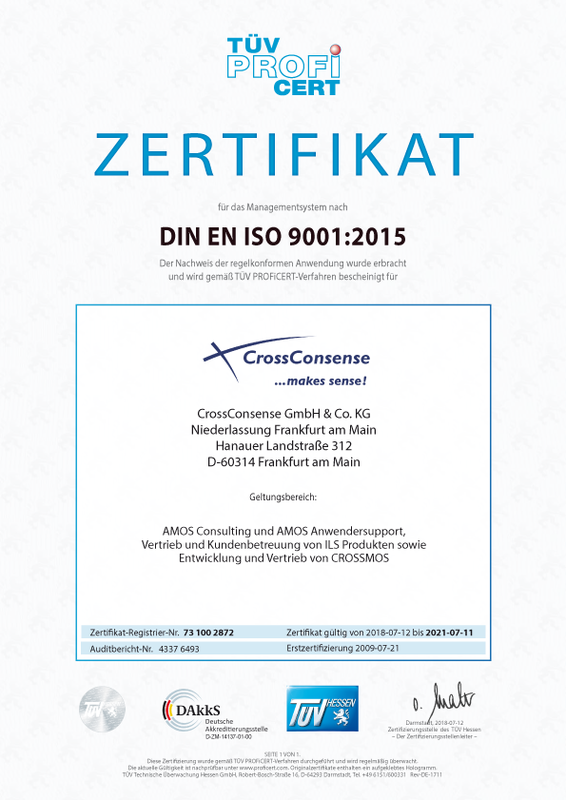 If you want to learn more about us and our portfolio, please refer to CrossConsense GmbH & Co KG. Please do not hesitate to contact us via email marketing(at)crossconsense.de or by phone +49 (0) 69.40 35 76 00. Get in touch with us and we will find out what we can do for you.